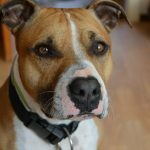 In February, we wrote a blog about the intriguing story of Izzy, the Staffordshire terrier on death row in Victoria whose case went all the way to the High Court, making legal history. After escaping from her home in 2012, Izzy and another dog attacked a woman, lacerating her finger. The local council sought a destruction order against Izzy. In the Victorian Supreme Court and then the Court of Appeal, Izzy’s owner unsuccessfully challenged the council’s powers to have her put down. In the meantime, Izzy has been held by the RSPCA. Then, with the assistance of lawyers from the Barristers’ Animal Welfare Panel (BAWP), Izzy’s owner appealed the matter to the High Court. It might seem like the world has gone mad when a dog can win an appeal in the highest court in the land. But the appeal was won on a technical issue, rather than a decision being made about whether the council could legally destroy the dog. Izzy’s lawyers appealed on the basis of bias. The council employee who had originally recommended the destruction order then sat on the three-person council panel to determine whether the order should be made. consider the council employee to be biased. The destruction order was overturned by the court and the council must now decide whether to repeat the process by re-convening another panel to decide Izzy’s fate, a decision which is expected to be made in the next few weeks. The RSPCA in South Australia made an offer to rehabilitate Izzy. This, as well as the huge legal expenses incurred by the council already, may see it adopting a “once bitten, twice shy” approach, preferring the RSPCA’s offer instead of risking yet another round of costly litigation. It is reported that the council’s legal expenses to date are around $600,000. Does Izzy deserve to be on death row? There are certainly quetions about whether Izzy’s behaviour warrants a death sentence. The incident that led to her detention was biting a woman and leaving a 1.5 centimetre cut, which the council described as a “serious injury”. But there wasn’t just this one incident involving Izzy. Izzy and her two counterparts, Jock and Bub, all Staffordshire terriers and all owned by the same person, had allegedly been involved in various incidents. Izzy and Jock had previously allegedly attacked a four-month-old puppy, causing serious injuries. The three dogs also allegedly attacked and seriously injured a woman and her eight-month-old puppy and later on the same day. 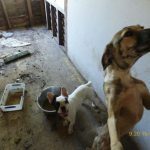 While the council has an obligation to take action to prevent other people and their pets being attacked, perhaps destruction is not necessary and rehabilitation will work. 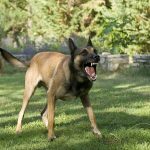 In NSW, dogs can be declared “dangerous” if they have attacked or acted in an unreasonably aggressive manner. They can be declared “menacing” if they have attacked or attempted to attack, but have not inflicted serious injury or death. If declared dangerous or menacing, dog owners must comply with strict requirements in order to keep their dogs. 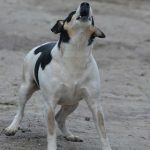 Dangerous dog orders can be challenged, and with expert legal representation, can often be revoked on the basis that the owner complies with less-stringent conditions that may be negotiated with the relevant council. The issue has been a hot topic in NSW for some years. In 2006, four-year-old Tyra Kuehne was mauled to death by her neighbour’s dogs. That led to the Companion Animals Taskforce being established, which made recommendations about changes to dog laws in NSW, including the power of councils to label a dog as “potentially dangerous” even before an attack has occurred. Following a period of public consultation, the government adopted many of the taskforce’s recommendations on a broad range of issues such as identification, registration, welfare issues, managing dangerous dogs and owner education. The changes have now become legislation. The next instalment in Izzy’s saga will largely depend upon what the council wants to do next. Keeping Izzy in indefinite detention seems cruel and is certainly costly, but there needs to be a balance struck between the safety of the community and the rights of Izzy and her owner. With changes to the companion animals legislation, NSW dog owners need to be vigilant about the activities of their beloved pets. 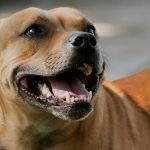 If you have received a notice of intention to declare your dog dangerous and want to mount a dangerous dog appeal, an experienced lawyer can help.